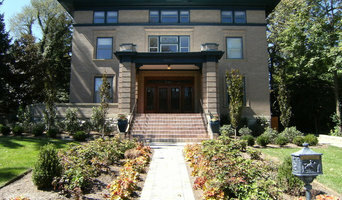 Stride Studios, formerly Architectural Landscape Design, Inc., was founded in 1996 by Bill Ripley. We are an award-winning company with one simple mission: to exceed our clients' expectations each and every day. From conception and development to design and implementation, we transform your dreams into exquisite outdoor spaces. As a group of well experienced designers, artists and technicians, Stride Studios specializes in site development and project management of finely detailed residential and commercial exterior and landscape projects. We collaborate regularly with architects, landscape architects, engineers and surveyors to provide our clients with comprehensive teams that manifest the best possible solutions to meet their needs. We owe our success to our clients for allowing us the opportunity to help them create beautiful and lasting outdoor living spaces from simple conversation nooks to breathtaking focal points and master-planned estate grounds. The breadth of our services and talents goes well beyond specifying plants and pavements. We're site designers who incorporate all aspects of your vision, from drainage and infrastructure to garden ornamentation and accoutrements. We can dream it AND we can build it. We are grateful to each and every client, past and present, for trusting Stride Studios to help find appropriate and unique design solutions to fit their visions. Outside Influence Landscape Design Group enables the every day homeowner to bring the beauty and comfort of the indoors to their outdoor living spaces. Welcome to Outdoor Design Build, LLC, specializing in the design and building of custom outdoor living spaces, outdoor kitchens and backyard retreats. We can handle your all-encompassing outdoor living project, from beginning to end. You dream it, we can build it. Landscape Design / Build in today’s world is not just about plants and trees but rather an extension of your home. If done correctly, with the help of an experienced contractor to provide you with ideas and make sure they are implemented correctly, your outdoor landscape can be an area of your residence you’ll want to spend just as much time in, or more, than your indoors. Outdoor Design Build takes a holistic approach to landscape design, which may entail utilizing a bevy of elements including hardscapes, decks, patios, walkways, swimming pools and of course plants. If your goal is a beautiful outdoor living space or landscape, then a solid plan will be necessary. We recommend the services of our independent landscape architect or designer as they are definitely worth the investment and time required to create your dream outdoor space. Our team consists of architects, designers, and certified / licensed contractors, with unparalleled expertise building roof structures, decks, patios, pergolas, fire pits, stairs, outdoor kitchens, fireplaces, spas, swimming pools, back yard renovations and home additions. 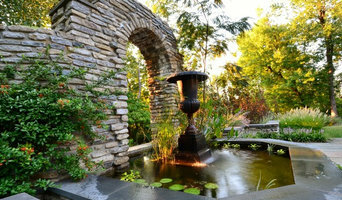 Flourish offers landscape design and installation services for beautiful, environmentally-friendly living spaces. From start to finish, we are here to realize your ideal spaces. Founded in 2010, Flourish has been serving our clients by creating lasting transformations so they can feel more beautiful inside and out. We offer two types of experiences, the CONSULTATION and the DESIGN BUILD PACKAGE. From sidewalks and driveways, to patios and retaining walls, Eddington Landscaping has the experience and creativity to make your dream a reality. Our staff has the experience needed to CREATE and INSTALL LANDSCAPES that are functional, beautiful, low maintenance so you can enjoy your property with as little work as possible. Eddington Landscaping is committed to enhancing your property and keeping it looking its best. Our Maintenance department serves both Residential and Commercial properties. Why landscape? In addition to the monetary savings landscaping can provide, it can dramatically increase the value of your property! Good landscaping reflects an image of you and your values. Our process: Once we have worked through the sites problems and advantages, we start compiling a list of plants and trees that will not only make your property look its best, but will also be sustainable and easy to maintain. We will work with you to design a layout for your property that will enhance its natural features. A well-designed garden gives you years of satisfaction and pleasure by providing an outdoor living space for playing, entertaining, or relaxing. Finally we will install your landscape with the care we would use at our own homes. We use only the best in fertilizer and soil to ensure your plants make it through the critical first few months. We use only the best plants and trees to make your landscape look even better, year after year. Our Land Organics is an ecological landscape company that designs, builds and maintains beautiful, sustainable home landscapes. We strive to design landscapes that prioritize your goals while working with the ecology of the site. Your land is an asset not a burden. We empower our clients to become an integral part of their landscape. Aside from landscape consulting, design, and installation we offer educational opportunities such as seminars and hands-on workshops. Cloud Landscape Design is a company grounded in a passion for plants, spatial aesthetics, and drawing document quality. Projects include residential design, adult education centers, senior care facilities, as well as multi-family/commercial work. Regardless of scale or type Jennifer creates beautiful, usable spaces with a strong awareness of client focus, building type, and functionality. She also provides consistent communication, awareness of client needs, and excellent follow through during all project phases. 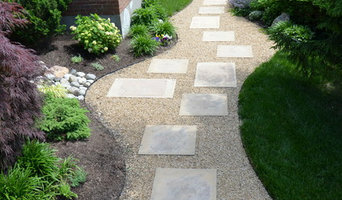 LaMond Design is a beginning to end landscape design / build company. From the initial conceptual design to the seasonal maintenance of your breath-taking landscape, LaMond Design stands out from the rest! Urban Blooms is a Social Enterprise that specializes in the Design, Installation, and Maintenance of Custom Living Walls and Vertical Gardens. Our non-profit mission is to beautify our city and educate the public on sustainability. It is also part of our mission to make sure that our city has access to affordable high quality living walls. 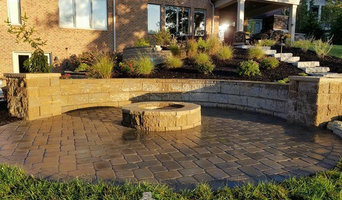 Allow our full-service Cincinnati landscape company the opportunity to serve your landscape services, sprinkler system design, masonry, outdoor living areas, and outdoor landscape lighting needs. We're a team whose foundation has been strongly rooted in its people and landscape service since 1980. Our focus at Perrino Landscape, Inc. is on residential clients who seek the highest quality landscape design, installation, landscape lighting and follow-up maintenance. The success of our business is a result of superior products and service, our extra attention to detail throughout the design process, strict adherence to horticultural practices and our ability to deliver services in a timely fashion. Make your backyard an inviting, interesting and beautiful outdoor space that will be the envy of your neighbors. Our award-winning landscape design services are matched with outstanding customer service. 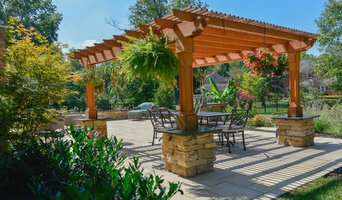 Landscaping Cincinnati's finest homes and businesses has been our passion for more than 40 years. Koit Design and Remodeling LLC. Sole proprietor and principal designer for an Independent design, consultation, and/ or project management services firm serving the do it yourselfer or the client desiring professional installation. Discounted direct plant sales. Martha is also an instructor, writer, and speaker with over 35 years of experience in the field and has volunteered her services for numerous schools and nonprofits in the tristate area. A landscape architect will handle all design, supply, construction and administrative elements of your garden or landscaping project. They will take into account your needs, the Moscow, OH climate and unique advantages and constraints of the landscape architecture. Typically, work will be based on ecological and environmental considerations, and a garden will be planned not only to look its best but also to facilitate future maintenance and growth so that it continues to flourish. A Moscow, OH landscape architect can also design any outdoor buildings that are to be featured in your garden. Everything from design blueprints through to the plants themselves should be provided by your Moscow, OH landscape architect. If there is other architectural development taking place on your site, bring the landscape architect in as early as possible. The expertise a landscape architect can apply to understanding your space and the natural environment could be vital to planning your project. Let your Moscow, OH landscape architect work closely with your architect, surveyor and any other contractors in order to develop landscape architecture that works in accordance with any other construction. This is important from a design perspective as well as on a practical level – changes to the grading of a landscape and modifications such as drainage can have serious implications on the viability of your land for extensive building and structural works. In order to resolve any planning permission issues, submit all applications for building and landscape architecture together, well ahead of the project. What is a garden designer? The scope of garden designers, or landscape gardeners, is often more limited to green space projects which will optimise your existing outdoor space rather than altering the landscape architecture as a whole. Whereas landscape architects specialise in the structural aspect of garden planning and building, garden designers in Moscow, OH will carry out projects that are of aesthetic and horticultural value. Landscape gardeners will make your garden the best version of itself with features such as walkways, patios, water features, fences and lighting, as well as choosing the right plants, trees and flowers. The practical role of a garden designer may vary by firm – some offer just the plans, requiring a separate contractor, while others fulfil the project in its entirety, from conceptualisation of the landscape gardening to construction. Don’t be put off by the former if you happen to find a good Moscow, OH garden designer that you like – he or she will have local industry connections to introduce you to quality, reliable gardening professionals with whom they have existing relationships. Here are some related professionals and vendors to complement the work of landscape architects & garden designers: Landscape Contractors, Garden & Landscape Supplies, Tree Services, Lawn & Sprinklers, Decks, Patios, Sheds & Summerhouses. How do I choose landscape architects or garden designers in Moscow, OH? When choosing your Moscow, OH garden designer or landscape architect, be sure to research their qualifications and look at examples of their previous work. A portfolio of previous landscape architecture or garden projects is important to ascertain both their credentials as well as their style. Once you have shortlisted or chosen your architect or designer, an on-site meeting is essential so they can see exactly what they’ll be working with. Stay briefed on all plans and developments, both before and during the project as a plan you approved previously may change during the course of the project. Be very clear on your budget – just like plans, costs may alter while work is underway so ensure your professional keeps you informed and does not incur additional expense without approval. If you are open-minded and budget-conscious, consider approaching new graduates keen for experience, who may negotiate a lower rate than more experienced professionals. How long have you been landscape architects or garden designers in Moscow, OH? Can you accommodate my special requests? What is your experience with similar landscape architecture or garden projects? Find a landscape architect or garden designer on Houzz. Narrow your search in the Professionals section of the website to Moscow, OH landscape gardeners. You can also look through Moscow, OH photos to find a garden you like, then contact the garden designers in Moscow, OH who worked on it.